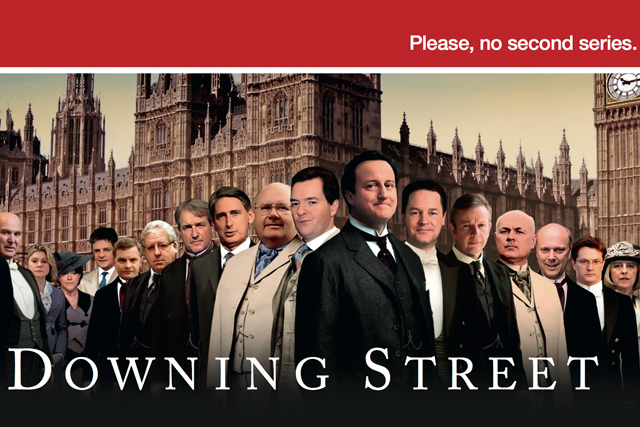 Unite is poking fun at the wealth of the Coalition Government in a poster ad created by TBWA\London to coincide with the Conservative Party Conference. At the top of the creative is a red strip with the Unite logo and the words, "Please, no second series". 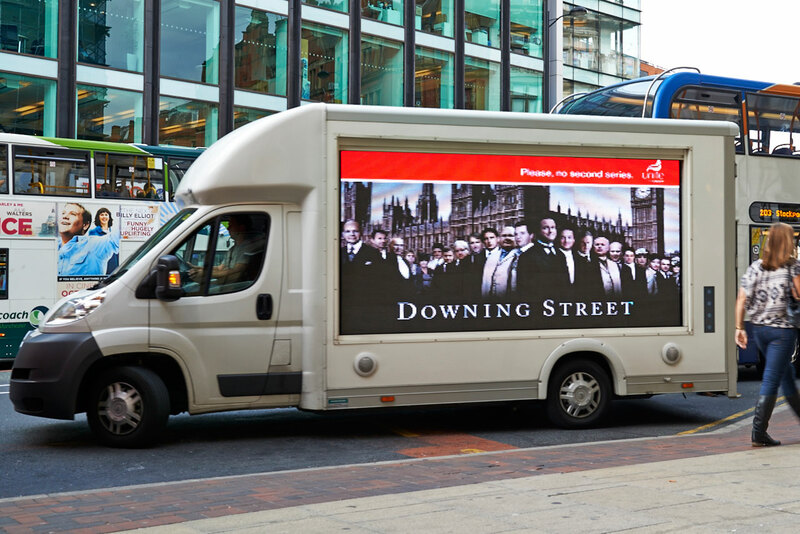 The ad is running on a 48-sheet advan in Manchester today to coincide with the chancellor, George Osborne’s, speech and will be back on the streets on Wednesday, when prime minister, David Cameron, will speak to delegates. At TBWA\UK the chief creative officer and chairman is Peter Souter and he worked with copywriter Sean Doyle and art director at Paul Belford. Ryan Wain managed the relationship with Unite. Souter said: "Our country has a choice to make in 2015. A choice between serving the few or supporting the many, between the selfish and the selfless. 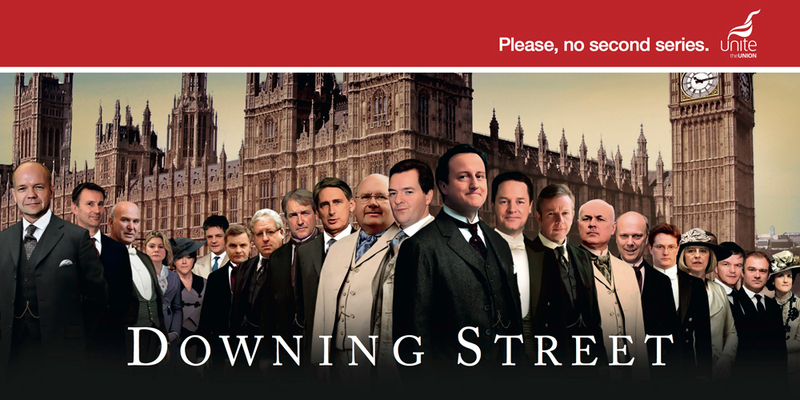 TBWA\London has already picked its side. "We're supporting Ed and the Labour Party, and will do our utmost to help others committed to the same cause – Len McCluskey and Unite included. "This is a delightfully timely piece of work, showing a simple truth: this Conservative-led government is taking our country back to the dark old days. Something needs to change." Unite is the UK’s biggest union and is led by Len McCluskey. Campaign revealed last week that TBWA had worked with the Labour Party on promotional materials, including a film and microsite, to promote the party's energy freeze policy.